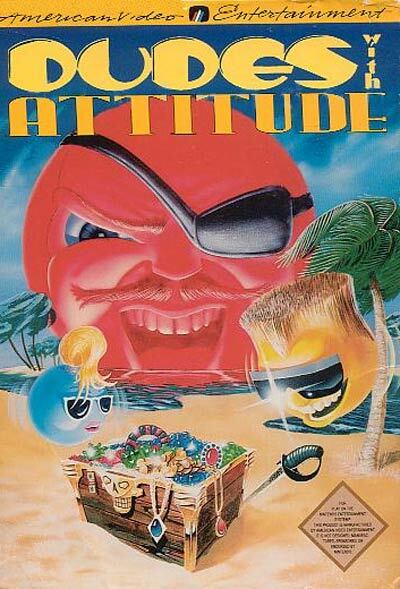 The puzzles in Dudes with Attitude require the player to make their 'Dude' or 'Dudette' a certain color by having them move across a paint can. After turning a certain color, they can hit treasures of that same color. The object in each puzzle is to retrieve all the treasures in a room without their 'Dude' or 'Dudette' falling prey to the various enemies in rooms, or running out of time.